Intro from Jay Allison: Karla Murthy is closing a circle. After a career in television, she finds herself wandering back to her first passion--music--and exploring it through radio. Her piece, "Maria, Lena and Me," is a tribute to one remarkable pianist, but more than that, it's an homage to inspiration. If you never dreamed of becoming a concert pianist, you'll find yourself entering that dream as you listen; the story and the music are enchanting. So here’s the very roundabout way I ended up making my first radio documentary. I’ve worked in television for the last 15 years producing news documentaries mostly for PBS. Before that, I was a graphic designer. Before that, I studied Religion and Computer Science at Oberlin College. And before that, I was a classical pianist at the High School for Performing and Visual Arts in Houston, Texas. 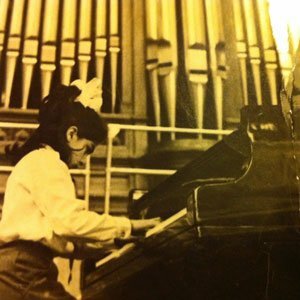 Back then, piano was a huge defining part of my life. Yet, even though I practiced six hours almost everyday, I always knew I wasn’t going to be a concert pianist. 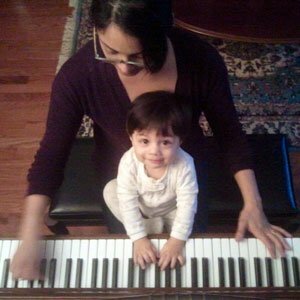 After the birth of my first son in 2009, I started thinking about the role music would play in his life. And I started to wonder about what role music played in my life. How did it shape who I am today? Was all the money and the hours spent in a practice room a waste? I don’t actually answer any of those questions in this radio documentary. But those questions led me to interviewing my friend Lena about why she is a classical pianist. And that question led me to Maria Yudina. So why radio? Why not make it a video documentary? First of all, I wanted people to really listen to Yudina’s music. And I didn’t want to spend my time digging around for archival photos and footage to use as wallpaper. It was hard enough just finding audio recordings of Yudina. I also wanted a different experience from working in television, where there’s usually little time and money for exploring the unknown. That brings me to gear. I’m used to lugging around heavy lights, cameras and tripods, and taking an hour to set up for one interview. But with radio, I can do a tape sync, and record in my pajamas with the baby napping in the next room?!! Wha?! It was totally liberating. Still, it’s taken me years to make this. I worked on Yudina between freelance gigs and around my kids’ nap times. It was a labor of love, literally. (I went into labor with my second son during a follow-up interview with Lena. Stupidly, I jumped on the subway home instead of going straight to the hospital. He was born three hours after that interview.) It probably took me longer to finish because I edited in Final Cut Pro. That’s what I know. Plus, working with just sound was a whole new world to me. The editing possibilities were daunting. But during this whole process, I think I may have answered some of my original questions — about what role music has played in my life. Although I’m very much a novice,, I love working with sound. I love editing and scoring. There’s a section with the Mozart concerto that might have taken me longer to cut if I didn’t have some musical training. I’ve also fallen in love with the piano again. The last piece Maria Yudina plays, the Bach Fugue in A minor, gives me chills ever time I hear it. Karla Murthy is a freelance television producer working in New York City, where she lives with her husband Jad Abumrad and their two kids. She started out with Bill Moyer's production company almost 15 years ago, working on long-form documentaries, and then for his newsmagazine NOW with Bill Moyers/NOW on PBS. Following that, she was a producer/shooter and correspondent for the PBS newsmagazine Need to Know and was a special correspondent for Newshour Weekend. She's currently a freelance producer/editor for Moyers and Company. Karla was nominated for an Emmy for the The Battle Fields, a segment she produced for NOW on PBS about tomato pickers in Florida. LOVED the piece…anyway we can get a download of the recordings you were able to find? I’d listen to that in my home. Thankyou so much for this Radio Piece. Enthralling! Radio is such an educational tool. Your labour of love is an absolute delight, Karla. Thankyou again. thank you very interesting! I also trained as a concert pianist and am now filming and recording my own piano videos using final cut. I also would love to find the recordings. Please share. 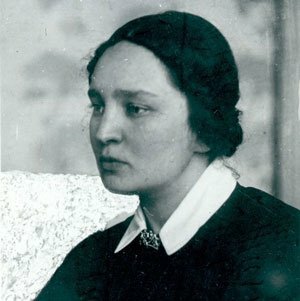 Unfortunately, many of Yudina’s recordings are difficult to find. There are a couple you can buy on Amazon. I was also able to find some on youtube, from the Manhattan School of Music library, and recordings from my friend Lena. I keep coming back to this piece, I just love it so much! Keep up the awesome work!